What better time could there be to refresh your make up bag than around Christmas when parties galore and a brand new year lie ahead! Both available at House of Fraser. 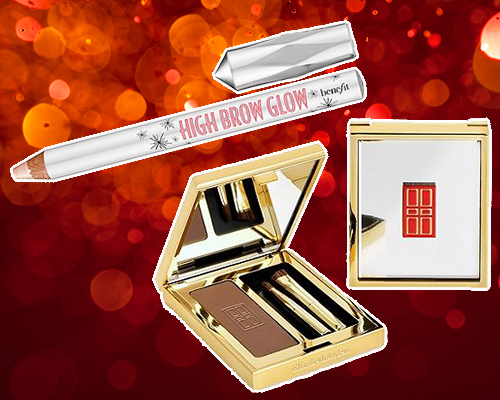 Become the source of office wide eyebrow envy on Christmas party day with this compact Elizabeth Arden brow kit. And for an easy day to night transition, add a touch of Benefit's high brow highlighter to give some subtle shimmer and make you feel glam. Available in Urban Decay stores and Debenhams. If there's one time of year where it's more than acceptable to wear glittery eyeshadow then it's Christmas! 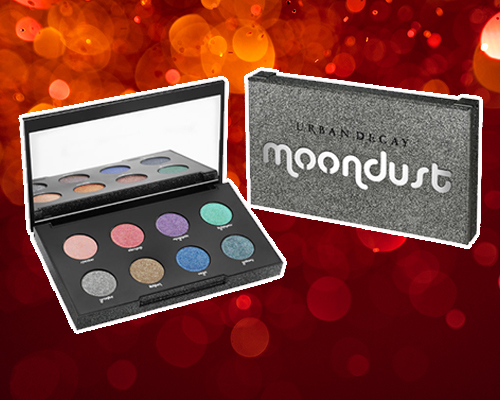 This palette from Urban Decay has a selection of 8 colours to blend for a glitzy smoky look or to wear as one statement colour. And the colours all have one thing in common...they shimmer like mad! To make yourself feel that extra special this Christmas, ditch the mascara and go false! 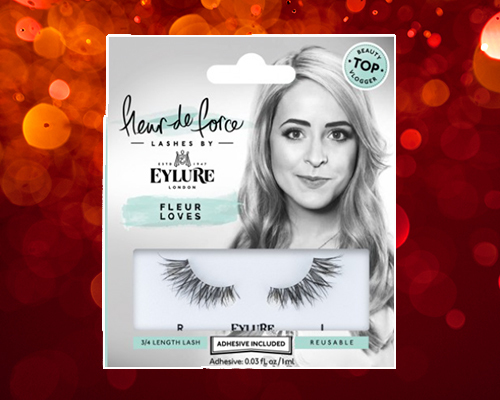 If you're not used to wearing false lashes, these Eyelure 'Fleur Loves' style ones designed by fashion blogger Fleur De Force have a more natural look than most. 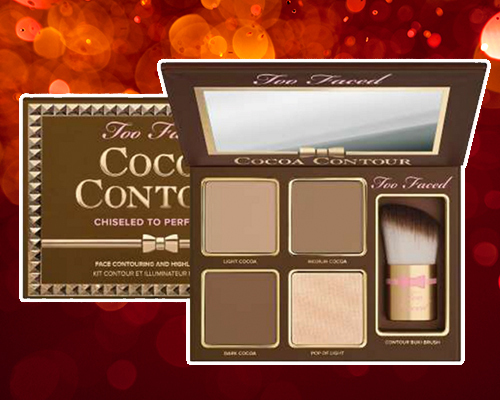 Too Faced are the queens of beautiful palettes and their Cocoa Contour palette is no exception! With a variety of tones, highlighter and a handy miniature sculpting brush its great to pop in you hand bag and define those cheeks before you head out. Don't forget those rosy cheeks! This 'Blushin' Babe' blusher set from Benefit will keep the colour on your face topped up. It also features all their classic colours including dainty Dandelion and bronzing Hoola. Available in Boots and Superdrug. Red is the perfect Christmas colour! 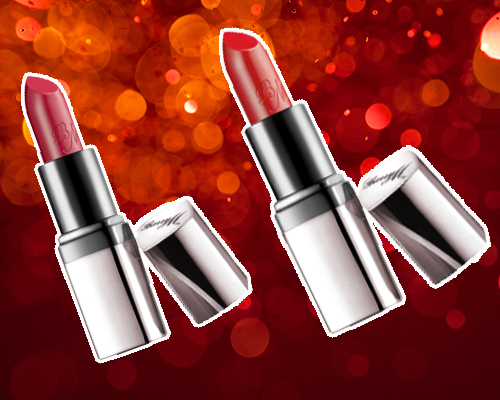 So splash 'Red My Lips' on those smackers this year to make any make-up look a tad more festive. But if red isn't your colour no matter the time of year, the deep 'Wine Not' will do just the trick too! Now all you need to do is plan your outfit!